The Archives provides Oakwood University, its constituents, and community with quality resources related to institutional historical records and the history of Black Adventism. The Archives is located on the lower level of the Eva B. Dykes Library. The Oakwood University Archives is the depository for the historical records of Oakwood University, and African-American Seventh-day Adventists. The mission of the University Archives is to acquire, preserve, and make available materials of value, which focus on alumni, faculty, administrators, staff, the history of Oakwood University, and Black Seventh-day Adventists. Opening in 1973, the department houses the earliest documents in connection with the founding, purchasing, and the managing of the University's property. The records include board meeting minutes, presidential papers, yearbooks, school newspapers, bulletins, dissertations, photographs, administrative and academic departments' records, oral histories and stories. In addition to the document collections, the Archives houses photographs, videotapes, audiotapes, filmstrips, and slides. It is located on the lower level of the Eva B. Dykes Library. The Clara Peterson-Rock Museum is a visual story of Oakwood University and Black Seventh-day Adventism in the context of the American and Adventist history. We invite the Oakwood family and friends of Oakwood to visit and make contributions to this important legacy. The Museum is open to the public whenever the library is open. Kindly contact Ms. Antonia Jackson at 256-726-7249 to schedule a guided group or individual tour. An online collection of yearbooks, annual bulletins, and other publications from Oakwood. The archives houses over 20,000 linear feet of records covering the entire period of the Seventh-day Adventist Church history. Patrons can trace the development of the church through these records, which include legal instruments, minutes, reference files, reports, correspondence, publications, recordings, films, video and audio tapes, and photographs. Welcome to the beginning of the Archives' project to digitize and make accessible the items in its collection. Keep browsing as material is being added on a weekly basis. In the upcoming weeks photos will be added that may not have names or descriptions attached. This is because we would like your assistance in identifying the person(s) or events in the photo. This can be done in the "Send Feedback" section on the page. 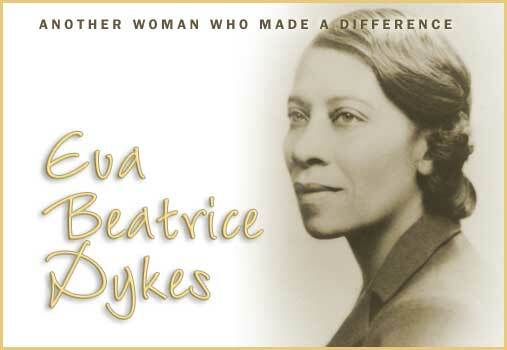 Eva B. Dykes Library Libguides by Oakwood University is licensed under a Creative Commons Attribution-ShareAlike 4.0 International License.